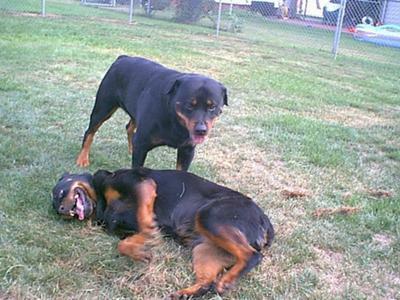 Two life long mates, born a month apart - Zeus and Xena were with me for 7 years. I got them when they were 3. Except for them I lived alone. They were my friends and companions, they both loved to chase a red dot laser, squirrels, rabbits, and ground hogs. Zena killed a skunk once and that was great fun - lol. I miss them a lot as they died last year, Xena in Nov and Zeus in Dec.